Did not want this one to ever end. So glad there will be more in this series. Tyler can't sleep. It's the night before the Draft and knowing he is the highest-ranked Alpha, one of the best in the Aurora Academy, with an amazing future ahead of him, has his adrenalin pounding. Flashing his killer dimples at the second lieutenant in Flight Control, he talks his way onto a Phantom, hits his thrusters and accelerates through the FoldGate into the universe beyond. He's a smart guy, a really smart guy, but he never saw this coming. In the middle of soaring through the seas between the stars his computer interrupts him with a distress call. An SOS is being sent by a ghost ship. It's the Hadfield, a ship that disappeared hundreds of years ago, ending the era of corporate space exploration and resulting in the deaths of ten thousand colonists. As Tyler boards the Hadfield, he discovers passengers suspended in cryopods. How could anyone have survived this? Thousands of them are dead, but one is still alive. Tyler gathers the one survivor, realizing the time he is spending to save her is stealing his future. Back at the Academy the Draft is taking place and he is not there to be chosen. Crumbs. Rejects. Failures. When Tyler gets back, he finds he's been assigned a ragtag team and a low-priority mission. 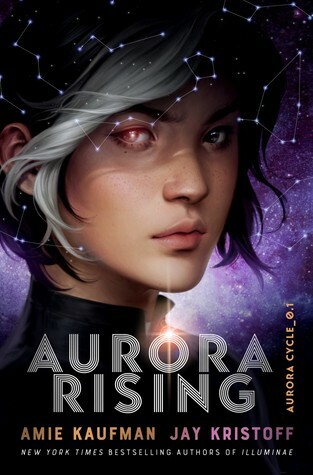 Tyler Jones, First Class Squad Leader, his twin sister, Scarlett, their best friend, Cat, and three other cadets, Kal, Fin and Zila, are now tasked with lugging some medical supplies to refugees on the far side on the universe. A drone could do it. Or are they? This is a team of brilliant misfits, cast-offs, who have never belonged anywhere. Each has a specialty ranging from warrior, diplomat, science officer, a Gearhead, and a Tank to ace pilot. To their surprise as they fly on their mundane mission, holographs of Battle Leader de Stoy and Admiral Adams appear onboard their ship with a message for them. "The challenges that await you may be unlike any you have ever imagined.... we have faith in your ability. You must endure. You must believe." What? For medical supplies? This motley crew is about to be chased through the galaxy by the Global Intelligence Forces who want their cargo and are willing to kill to get it. In a cinematic journey through space, in the year 2380, the snarky, bickering, hilarious, courageous Squad 312 faces one disaster and final moment after another. This book is like swimming in a pool of chocolate. It has it all including family, friendship, courage, fears, and alien beings from all corners of the universe. So just who is Aurora? Why does the GIF want her so desperately? Is there any place in the universe where they can find some answers? Heart-pounding, riveting, it's an adventure from the future that takes us into the realms of the heart, freedom and justice. This one needs to be up on the big screen.